Between Microsoft's October launch of Windows 8 and Tuesday's rollout of Microsoft Office 2013 and Office 365, there's no denying that it's been a decision-filled few months for PC users. It seems safe to say that Windows 8 has not been received as enthusiastically as Microsoft might have liked, but Office is of course a whole different ballgame, as they say. With numerous components and pricing plans, this cross-platform entry is surely Redmond's broadest-reaching office product to date. Time will tell how well it does, but meanwhile there are plenty of alternatives for those who remain unconvinced. Here's a small sampling of what's available from the world of free and open source software. 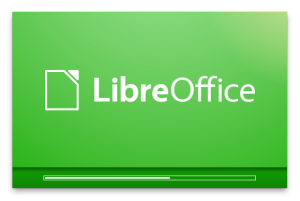 Certainly the leading office productivity suite on the open source side is LibreOffice. In the two or so years since it was forked from OpenOffice, it's become the suite most commonly included by the top Linux distributions. With six feature-rich applications for word processing, spreadsheets, presentations, and more, the software had already been downloaded some 20 million times by last fall. It's available as a free download for Windows, Mac, and Linux. Then, too, there's Apache OpenOffice, now under the purview of the Apache Software Foundation. OpenOffice is what LibreOffice is based on, so the two share many similarities; development work seems to be progressing more quickly on the latter, however. Not to be confused with the German variation now known as White Label Office, this suite is available as a free download at the project site. Stepping a bit closer to Microsoft's new suite in terms of cross-platform compatibility is Calligra Suite, a graphics and office suite created by the KDE project from KOffice in 2010. With versions for desktop PCs, tablets, and smartphones, this package includes eight components spanning word processing, spreadsheets, presentations, databases, vector graphics, and more. It can be downloaded for free for Linux, FreeBSD, OS X, and Windows. OxygenOffice Professional, meanwhile, is an enhanced version of OpenOffice that comes with extra goodies including templates, clip art, samples, fonts, and Visual Basic for Applications (VBA) support. Now in version 3.2.1, this free software can be downloaded for 32-bit Windows as well as 32- and 64-bit Linux. Finally, there's Feng Office Community Edition, a free and open source online project management and collaboration tool formerly known as OpenGoo that offers task management, document management, project management, time tracking, knowledge management, and more. Users of the software can create and edit text documents and presentations online; they can also upload, organize, and share files. The free software can be downloaded online; paid professional versions are also available starting at $59 per month.